Part of the allure of a gravel/cyclocross bike has been the possibly of having a "do it all" setup. I recently purchased a gravel bike with 38c tubeless tires on it, and I also have a set of 30c tubed/clinchers. I don't have any experience with tubeless but from what I've read they seemingly are a bit tricky to get setup compared to a clincher. If I have the right equipment (air compressor, sealant, levers), how practical is it to switch between tubeless and tubed depending on the terrain I plan to cover that week? Ideally one complete swap every month or so, tubeless knobbies for most training (16mph/25kph) and tubed slicks for events (20mph/32kph). I have changed a number of tubeless tires now and the other answers are on point that generally this should be avoided, and if possible run either more than one wheel set, choose a more general setup, or stick with tubes if you need to change tires frequently. The initial tubeless tire setup can go quickly if you have the right tools and a bit of practice, so this isn’t the barrier, rather it’s the tire and rim cleanup after a tire removal that is the main drawback to frequent tire swaps. By far getting solidified sealant off the tire bead is the the hardest part, especially if this is not done immediately after removal (i.e., you are in a hurry to mount the new tire and get riding). The longer you leave the task the harder the sealant becomes and the harder it is to remove. At minimum you need 30 minutes for this task, longer for tires that have been mounted for a long time. Plus after a couple tire removals and clean ups you will find peeling off the dried sealant can actually start to damage the tire bead surface. At some point the damage could inhibit the ability of the tire to form an air tight seal against the rim. Also in the removal process the tubeless tape can also get dislodged as the tire bead can often get stuck to the tape edge. This means having to re-tape the rim which costs time and money as tubeless tape is not a commodity item. Finally, sealant loss happens but is less of an issue. If you are careful most of it can be sucked up and transferred to the new tire. All of the above mentioned issues are really noticeable the longer the tubeless tire has been installed. The cleanup might go quickly if the tire is removed within a short time of installation (I.e., a couple days), but I haven’t tested this out yet. If you value your time at US\$20 an hour or higher, you’ll find you’ll quickly benefit by just getting a spare set of wheels, leaving the tires permanently mounted, and swapping wheel sets as needed. Otherwise, you have to clean sealant from the tubeless rims which make them a pain and buying a new bottle of sealant every now and again is going to start adding up. You can often find a suitable set of wheels by buying a used donor bike. Just make sure they’re true. I don't think I'd want to be taking off tubeless tire set up as tubeless with sealant once a month then reinstalling then later. You could run the wider tubeless tires with tubes in them to make the swap easier. Or go for a dual purpose tubeless 38mm tire with a low profile tread. Not the answer you're looking for? Browse other questions tagged tire tubeless or ask your own question. 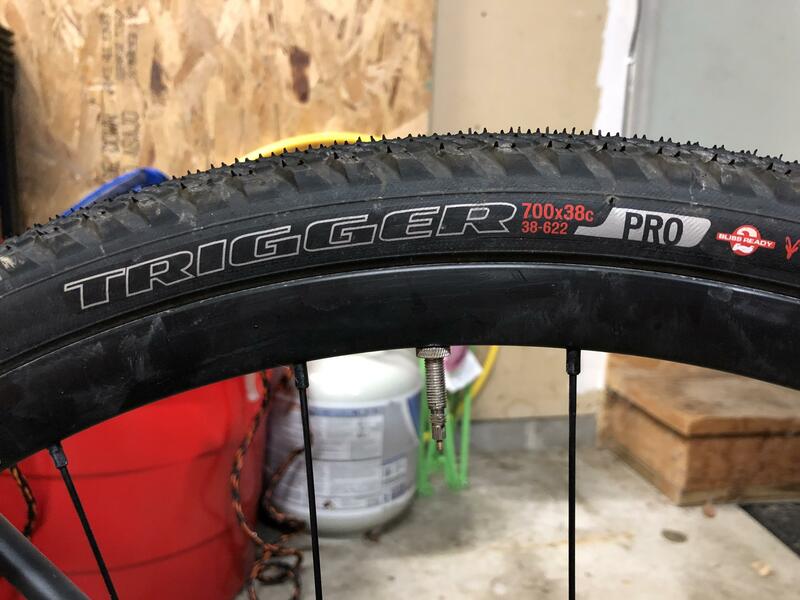 Can tubes be used in tubeless rims as well as tires?